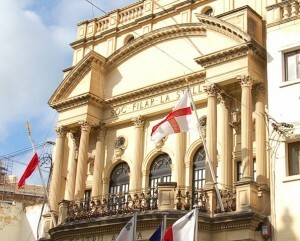 For the past eighty years, 1863 has been recognised as the founding year of the La Stella Philharmonic Society. Throughout the years, numerous writings and claims have been made about the origins of the La Stella Society. These were proffered by supporters who voluntarily gave their time and resources to update our Society’s history and by other individuals who were less familiar with, yet interested in, our Society. Despite these efforts, our Society’s history has not, to date, been presented in a single, comprehensive volume. Therefore, as part of the 150th anniversary celebrations of our Society’s inception, in 2011 the La Stella Central Committee decided to embark on an ambitious and extensive research project, aiming to publish an objective and full history of the La Stella Society. At this stage, the Central Committee confirms that new, relevant, historical material has surfaced which should significantly aid this scientific exercise. Additionally, research so far clearly shows that the La Stella Society’s history must undergo a thorough and radical revision. Although circumstances require that discretion is maintained for the time being, it is anticipated that positive updates on the progress of this study will be released in the coming weeks.